Welcome to November everyone! With the return of cold weather, I know I’m even more excited to finish a few more quilts this winter. Now I don’t mind sitting under a full quilt, but I do still mind using the iron. That never gets easier. This week I want to know: What is your favorite quilt block? Of course I have a few. If I want to whip up something super easy, I love the St. Louis 16 Patch. The quilts that I’ve seen in this block are absolutely stunning, and I love it so much that I’ve made three quilts with this block. I made all three in a 2 week time span, so I’m telling you it is the fastest block ever. In fact, I didn’t use one pin on any of them. Life changing. 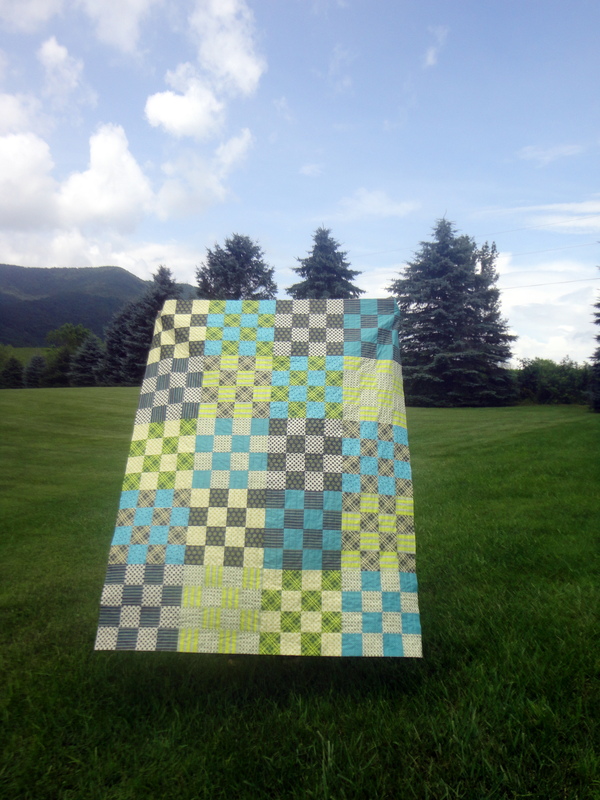 Another favorite I have is the fabulous x-plus block that swept through the quilting world earlier. It is phenomenal and I’m thinking this will be my Bee block! Now, in my dream world I have two blocks that I am completely dying to make, but I don’t know if I have the patience or stamina to tackle them. The Pineapple Block and the Courthouse Steps. That’s a lot of ironing, but I might make them into pillows? So, what are your favorites? I’d love to add more blocks to my ever growing “quilts-to-make” list. I’m more than a week late, but my favorite is a simple square within a square– sometimes called the stack n whack. It’s so versatile. I’ve done two quilts full of those blocks, and they’re just simple enough but just busy enough for me.